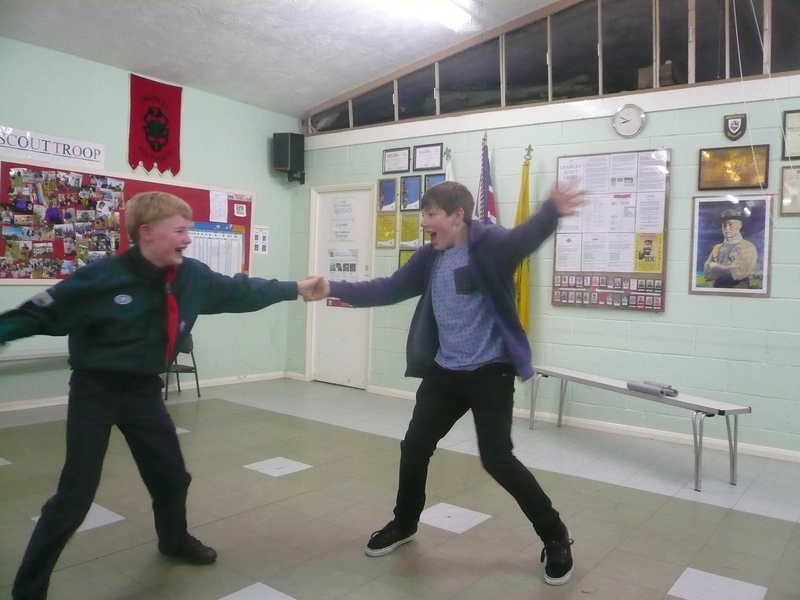 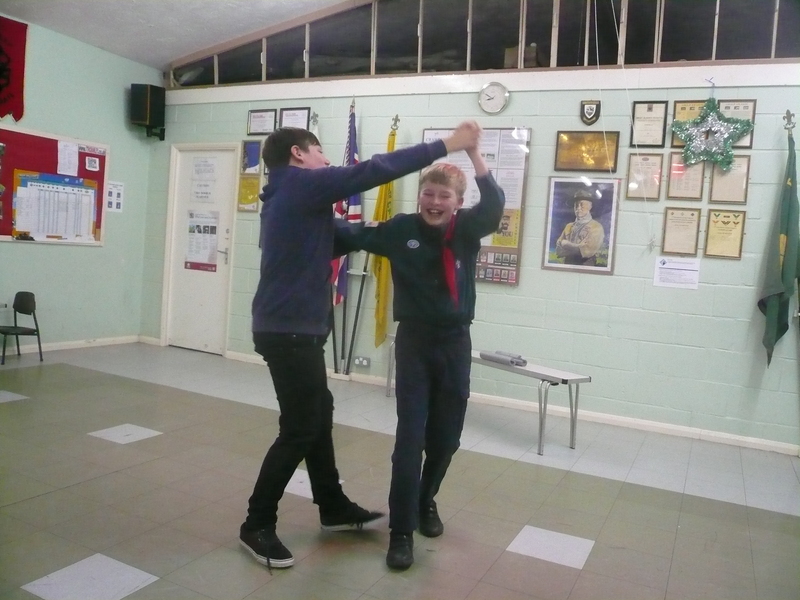 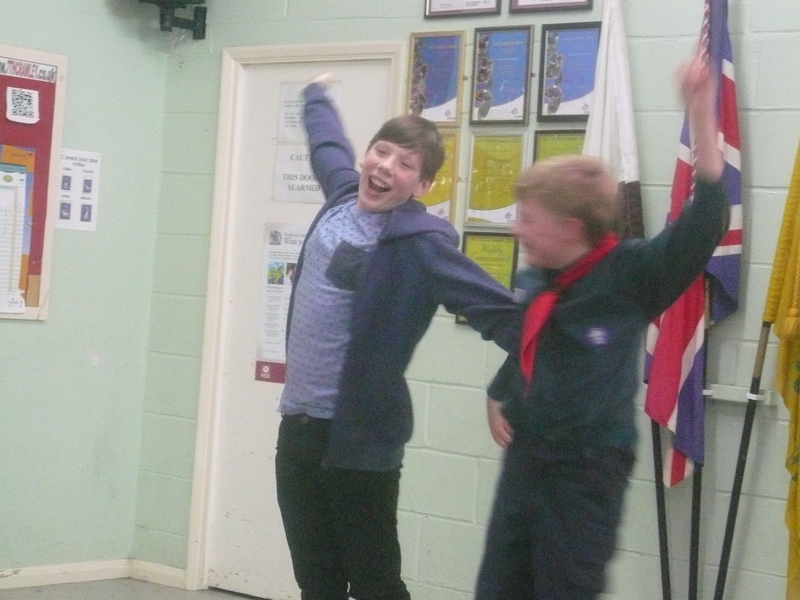 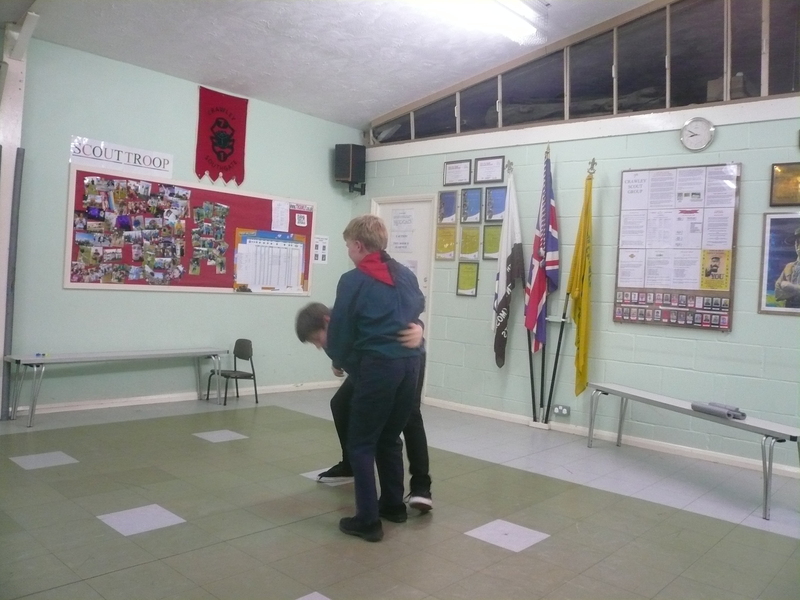 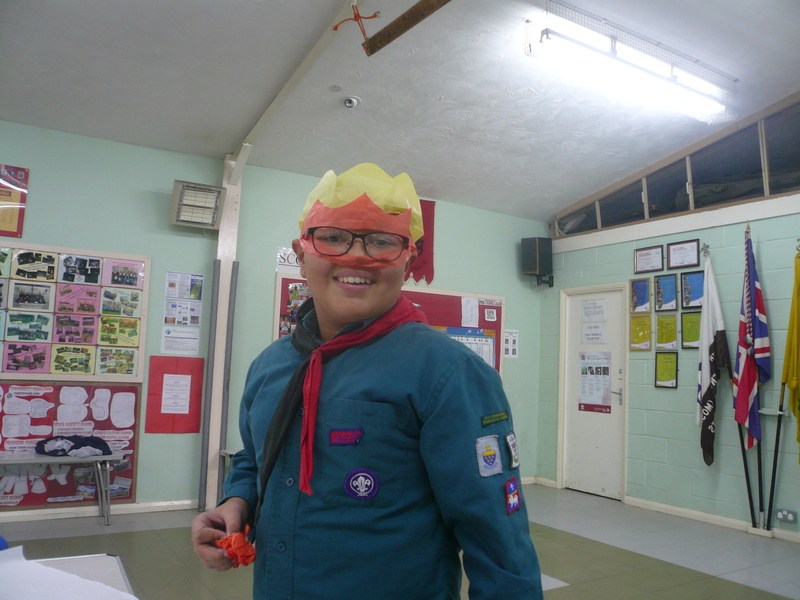 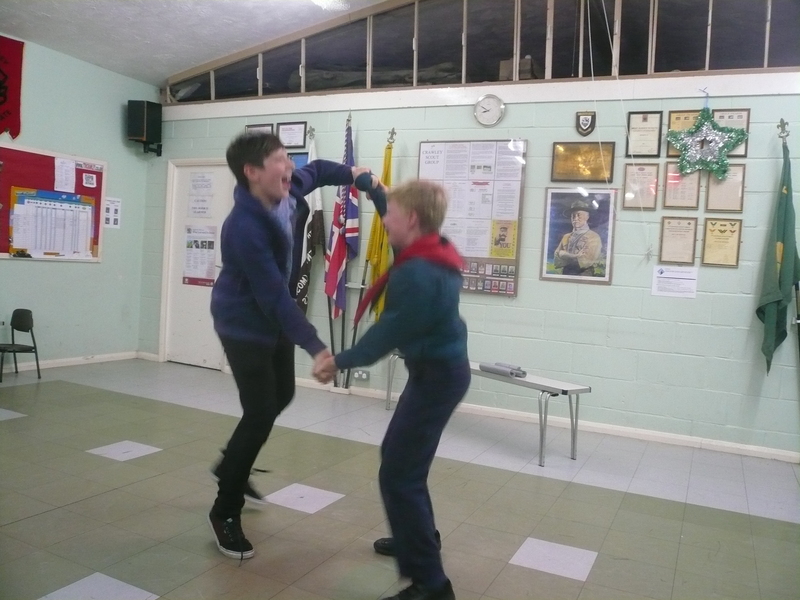 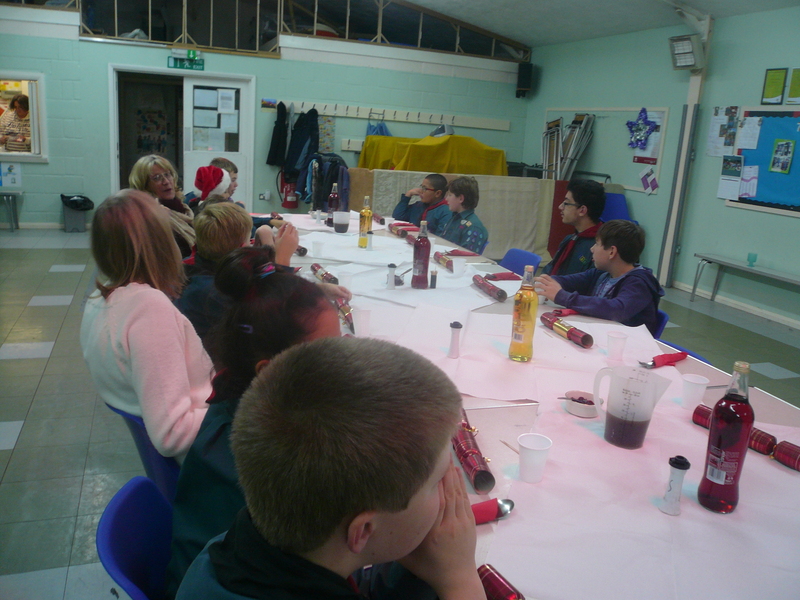 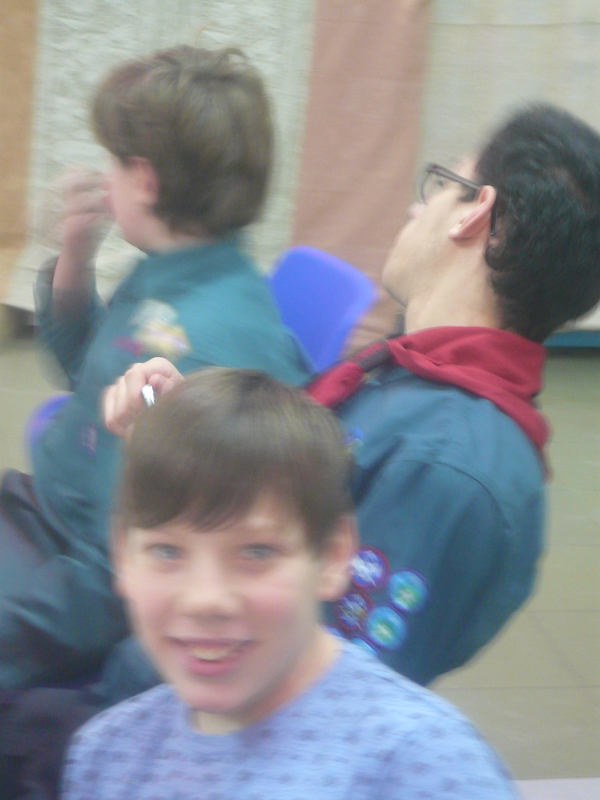 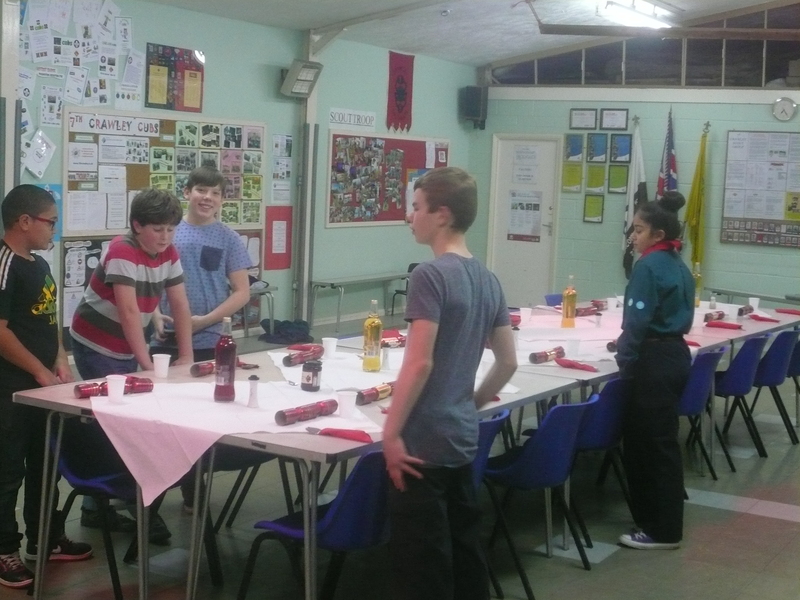 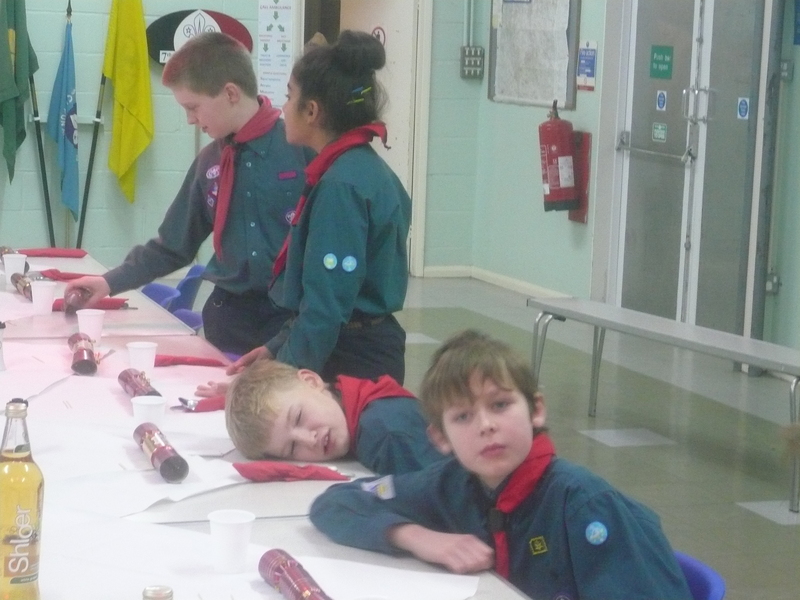 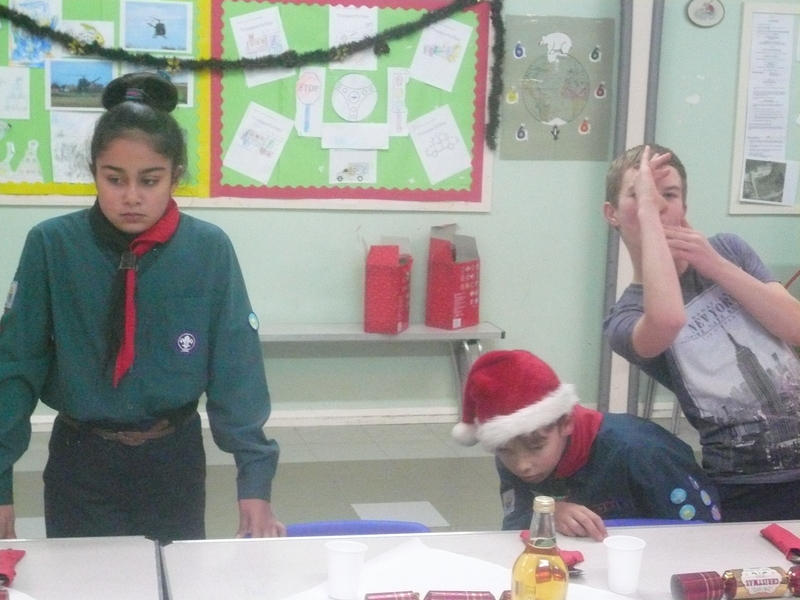 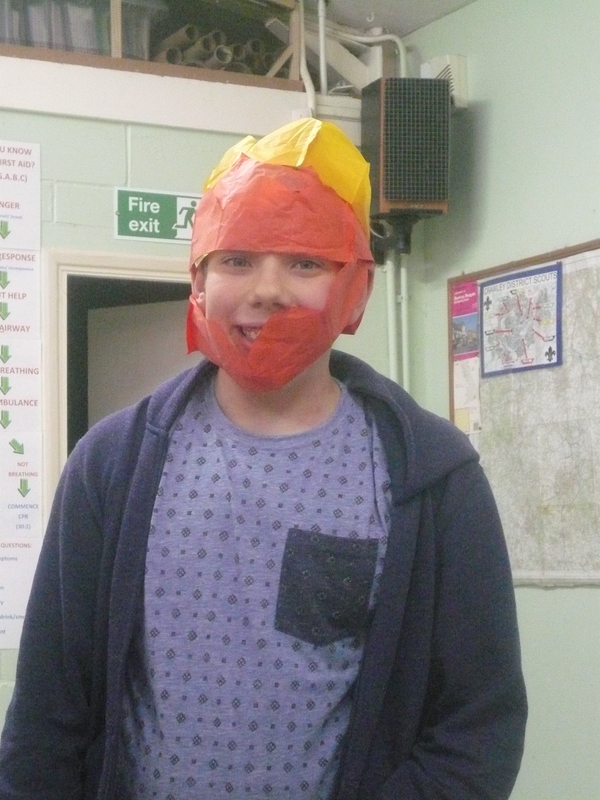 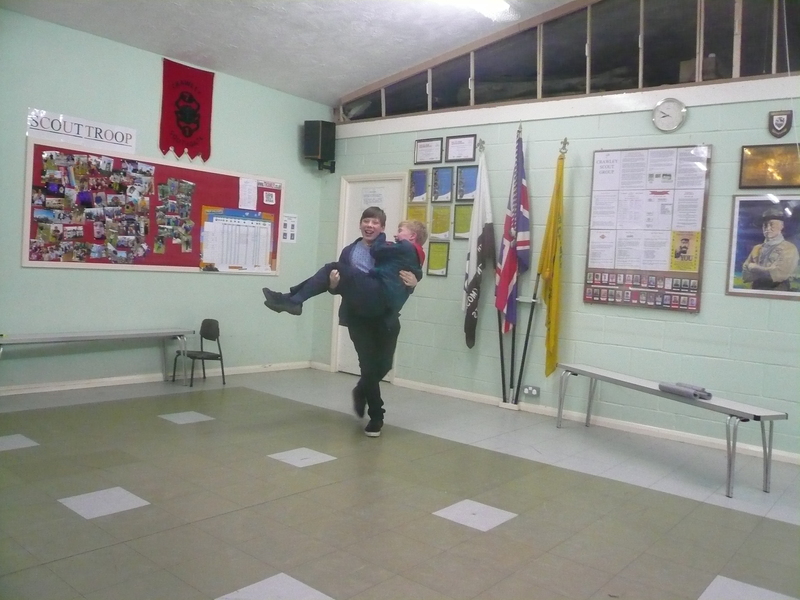 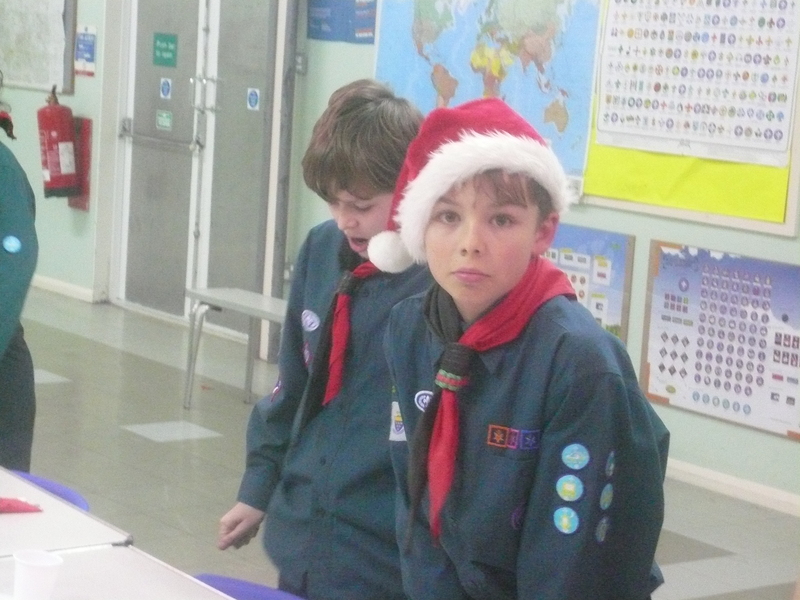 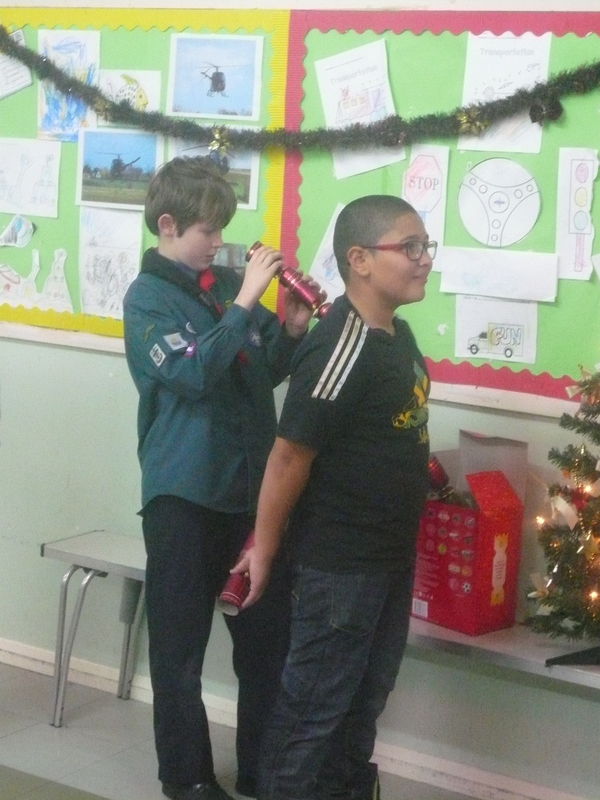 Members of our Scout Troop spent an afternoon literally slaving over a hot stove (and more!) 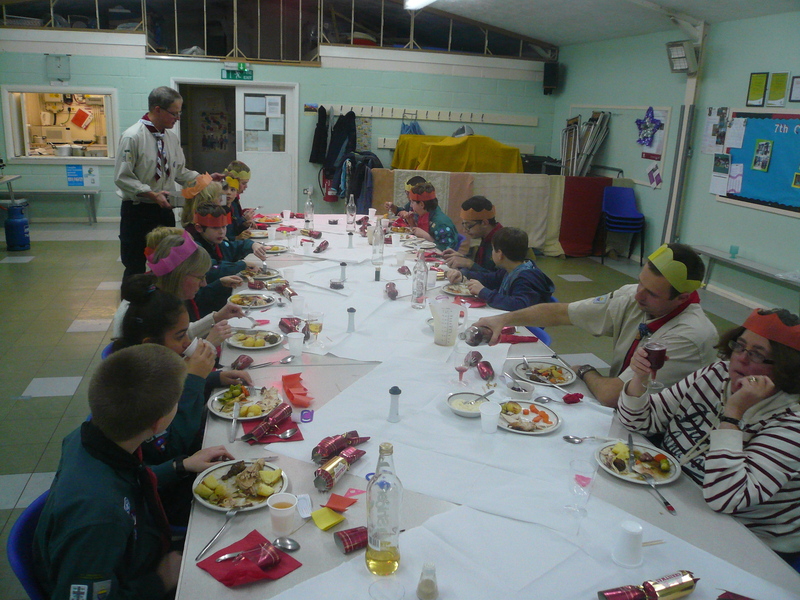 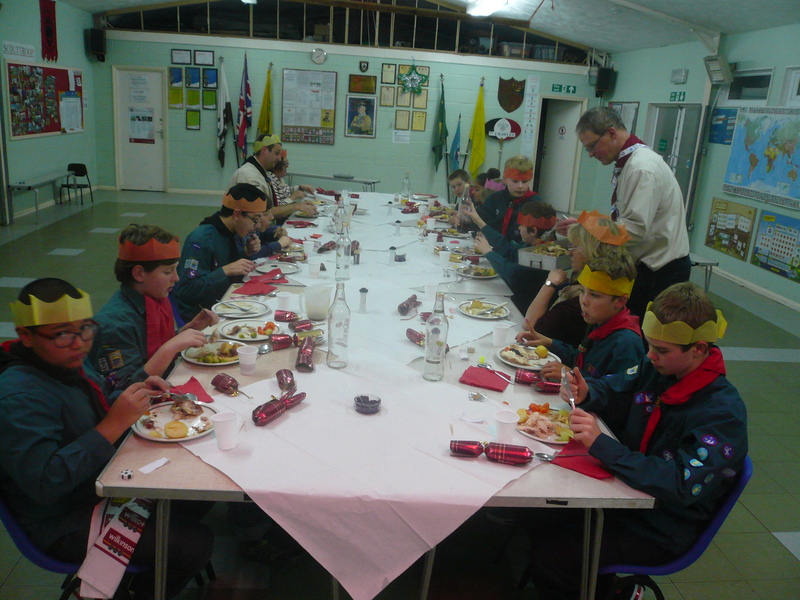 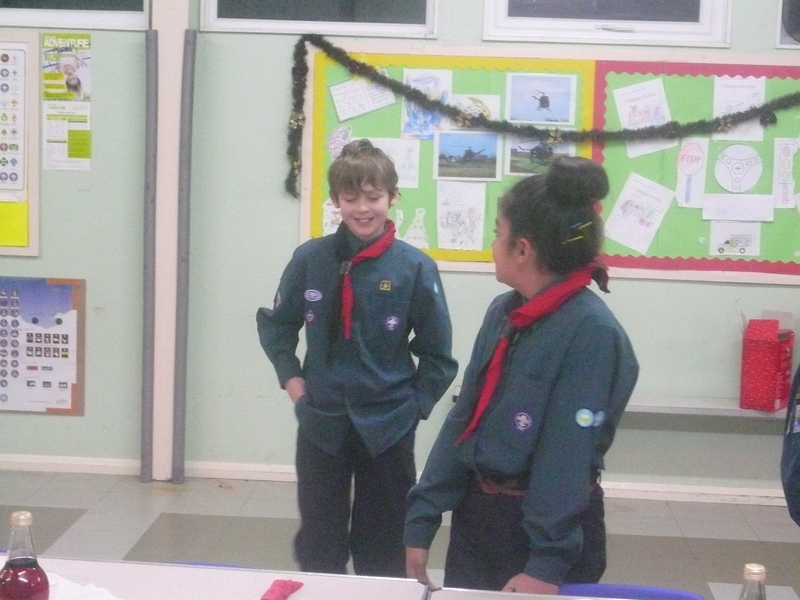 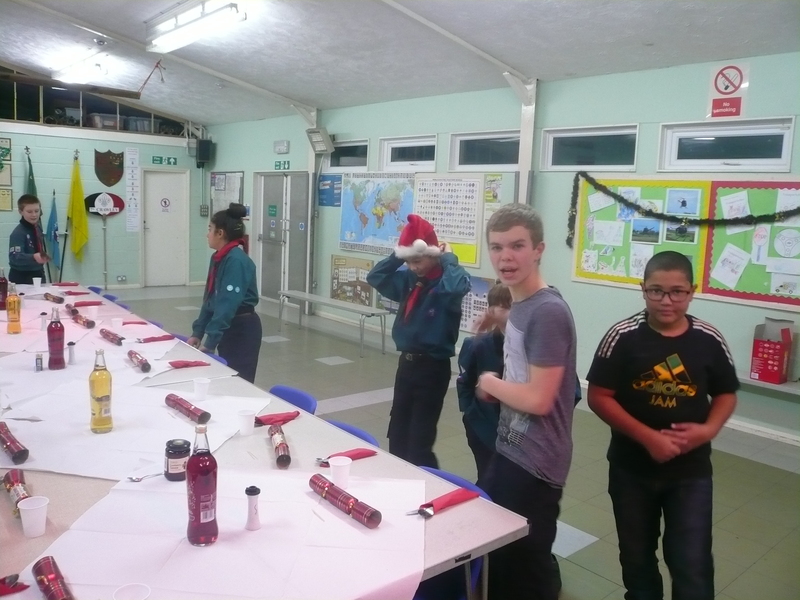 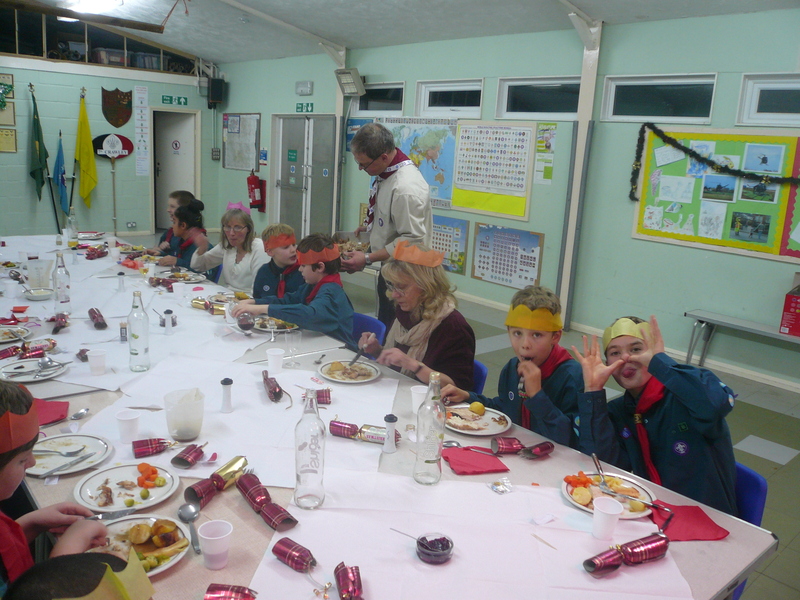 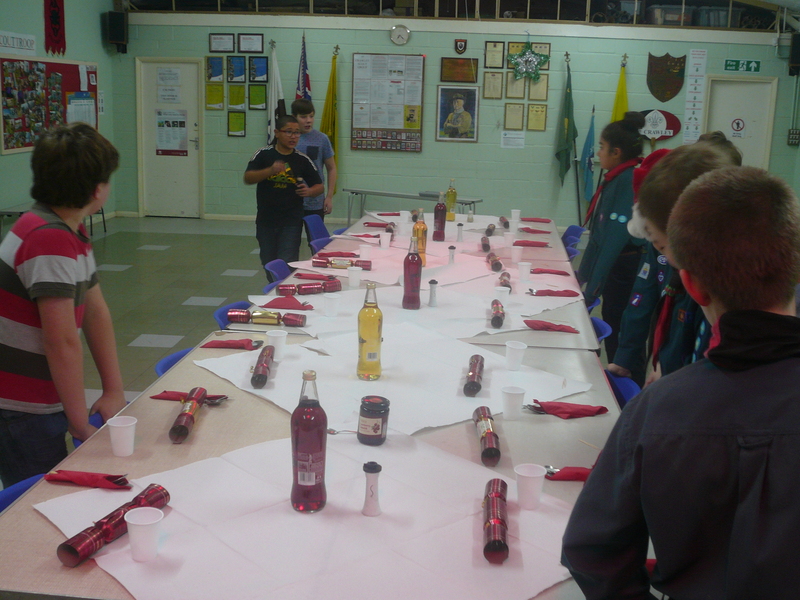 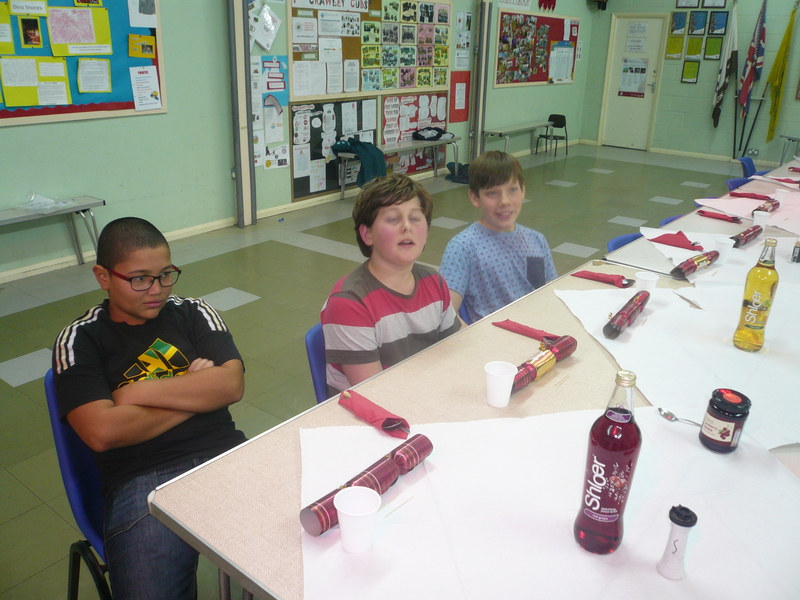 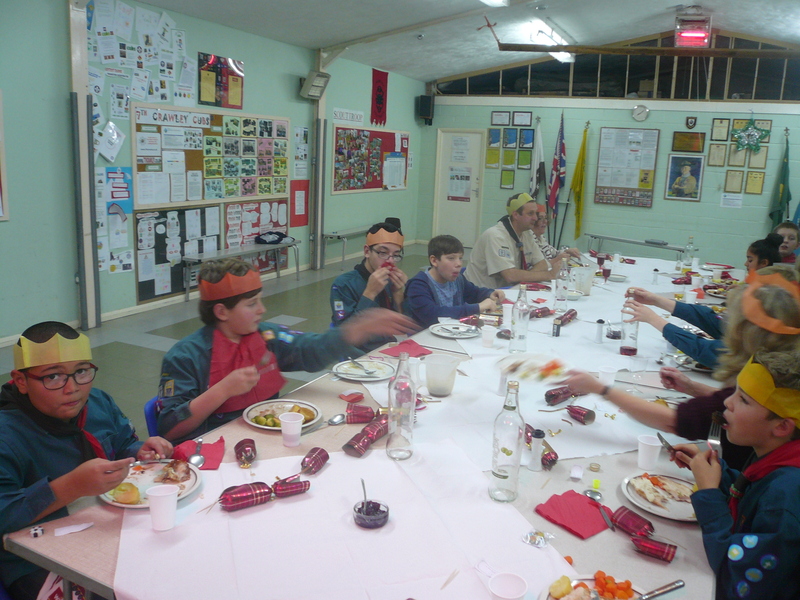 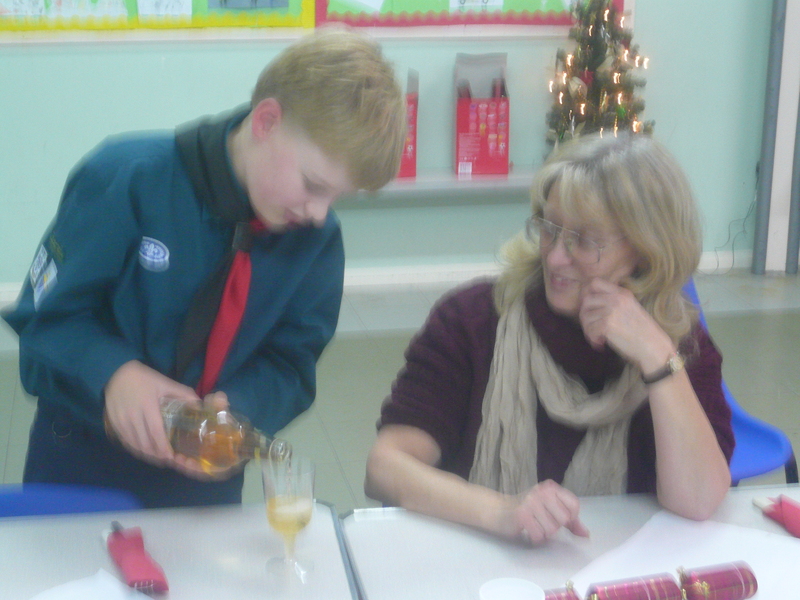 to prepare and cook a full Christmas dinner when they undertook the requirements of the Chef’s badge. 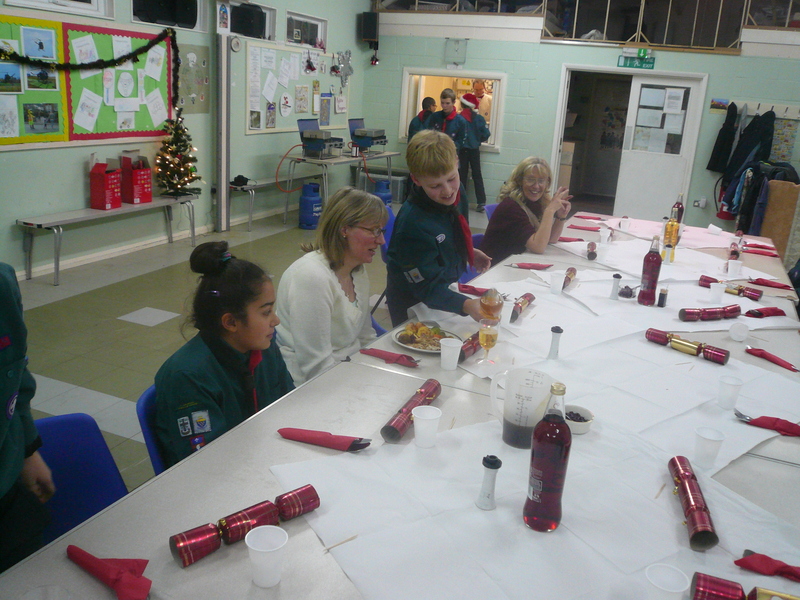 Thank you for a really enjoyable evening; the food was beautifully cooked, the company congenial and the entertainment……………..…..different!! 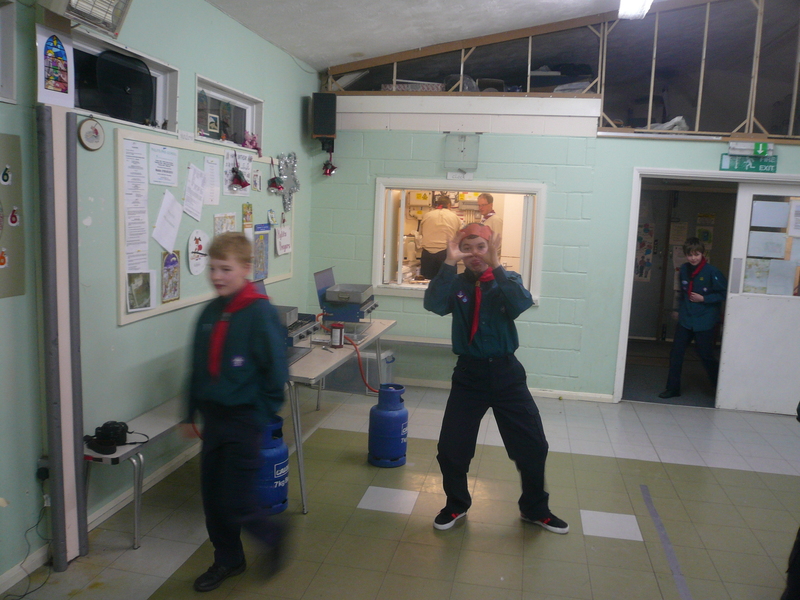 Well done for working in an almost coherent team(! 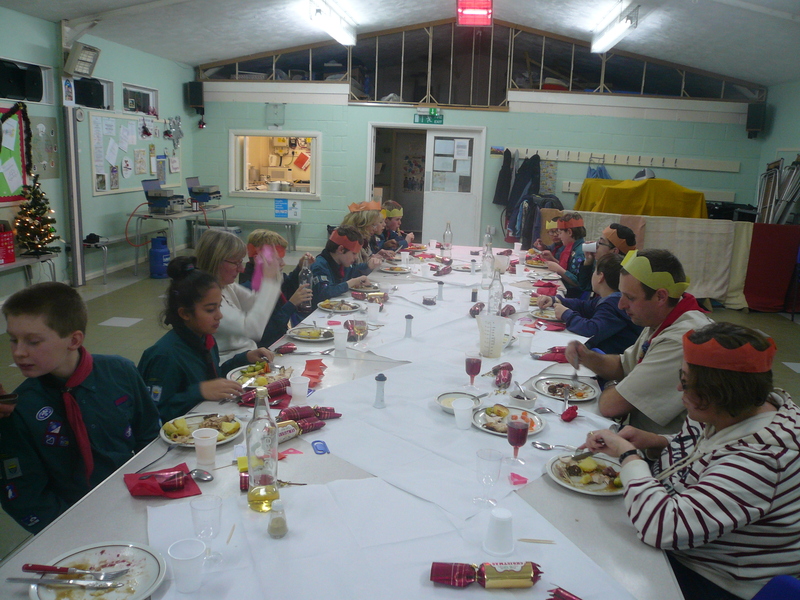 ); each and every one of them richly deserve their Chef’s badges as a result.